I just wrote August in the title, when in fact I've been using some of these products long before August. Clearasil Acne Clearing Scrub ~ This makes my face feel really smooth. The scrub isn't so big and abrasive, so it wouldn't hurt a ripe pimple. I leave it on as a mask too sometimes. However, it doesn't prevent pimples, coz I have a pimple right now when I'd just used it 2-3 days ago. But in it's defense, I'm getting pimples on and off lately. Herbal essences None Of Your Frizziness Serum ~ With anti-humidity technology, it says. I love that it smells like mangoes. Slice, to be precise. It does help tame the frizziness I get right after washing. 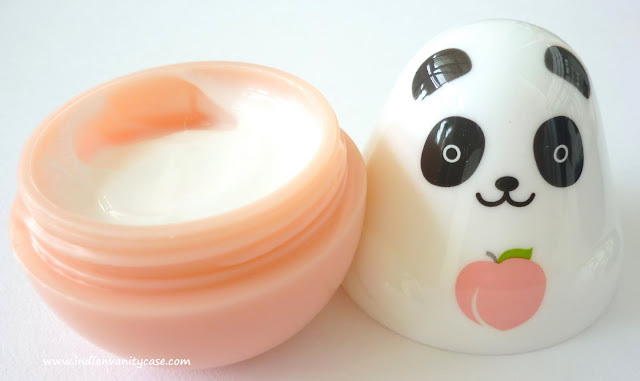 Etude House Missing U Hand Cream 'Panda Story'~ I LOVE this panda so much! I should have bought all of them! This one smells peachy and it does not make my hand feel slippery. I'm so afraid to use it coz I don't want it to be finished! (also shown here). Must collect more next time! MAC Quite Cute Mineralize Blush Giggly ~ Favorite pink blush of the moment (swatches here). It looks so good especially at night under yellow light. I think it could be my favorite pink blush of all time. 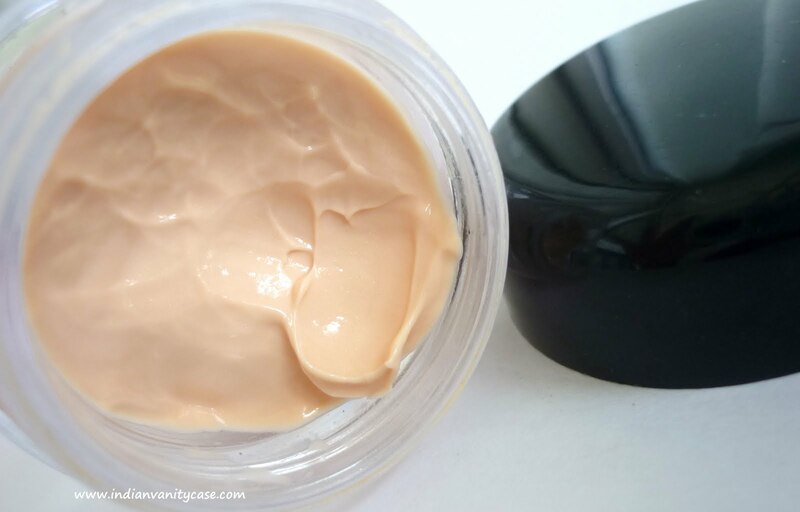 Bourjois Healthy Mix Serum Foundation #53 ~ This is almost exactly like the original Healthy Mix Foundation, except it is thinner (more liquid-ey) and less oily. It is easier to blend than the original too. Yes, I do like it better than the original. It smells so fruity & fresh, I could eat it. 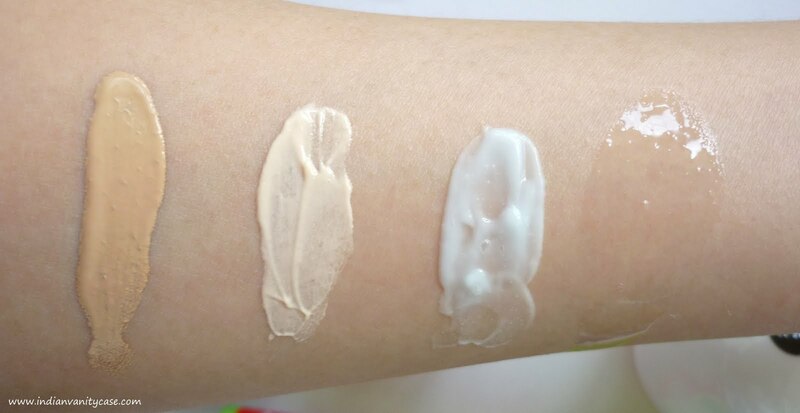 Coverage- Light to Medium. Olay Total Effects Eye Cream ~ Doesn't it look yum?! New cupboard & couch ~ I'll maybe post pics of those sometime. My dressing room is kind of a mess right now. Planning to get a new vanity, wallpaper, and a shoe rack made. So much work needed! 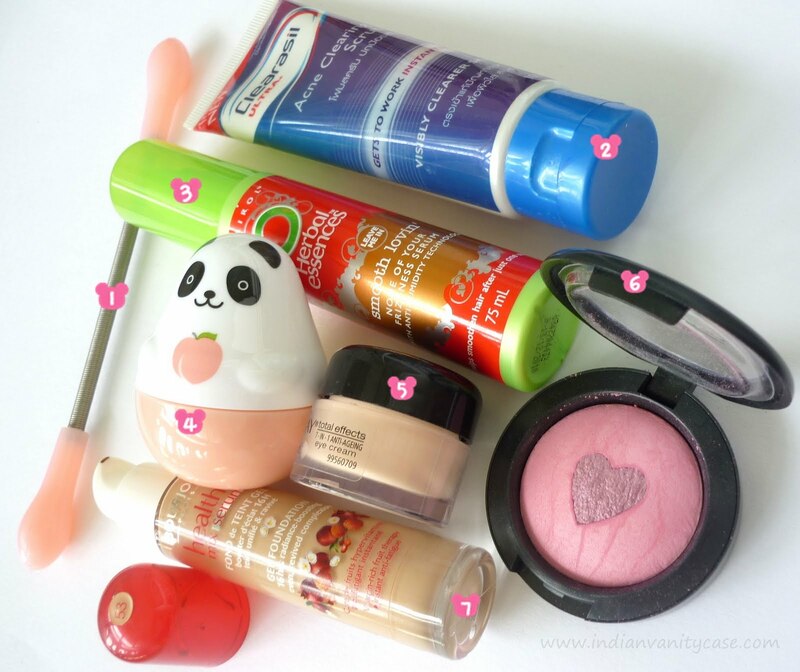 Love the panda hand cream..So cute!!! Even i have Nivea Lipbalm,but mine is in Strawberry and it smells YUM! too..>!! Looking forward to next months favorite!! I love herbal essence products! The naked palette is the best invention ever! I seriously use it just about everyday! I did not know abt the serum. sweet post! can u review loreal repair 5 hair serum sometimes??? Cyn- do you have an email id where I can reach you? need to ask you something! hey CZ :D :D where can i find this hair removal spring ?? ju- oww...I don't think I'll be able to do that so soon, sorry. Fathima- Strawberry is yum too! The panda's so cute. I hope you will keep the container when the product's finished. Hey Cynthia, exactly which store was it from where you bought the hair removal stick? None of the traders on Ebay are shipping it in India. Hey Cynthia, nice blog. From exactly which store did you buy the hair removal string? None of the traders on Ebay are shipping in India.